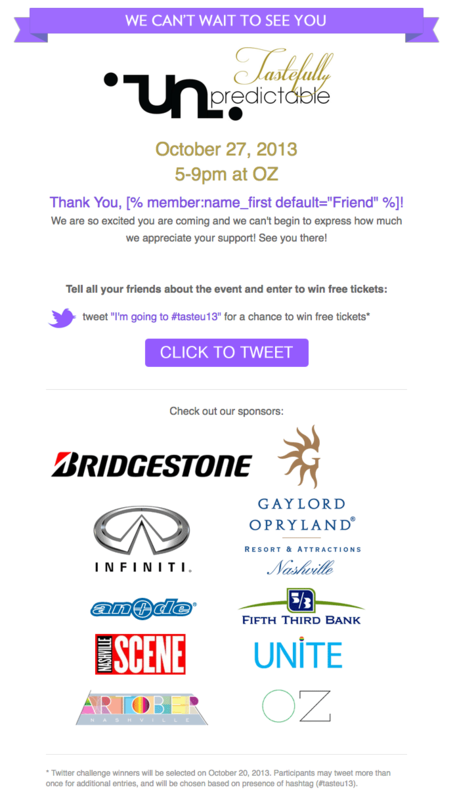 We have worked with the Nashville LGBT Chamber on many projects over the past several years, from website design and development to email marketing and digital strategy. 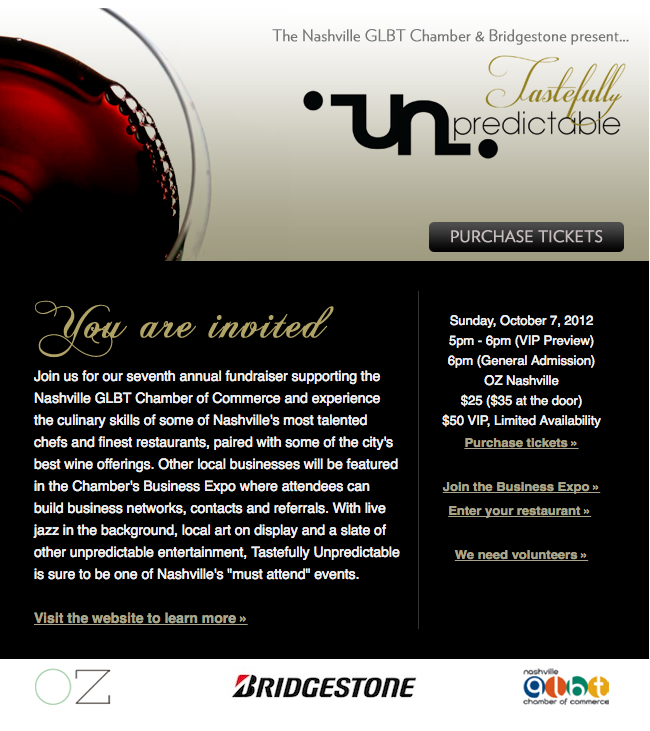 We provided email marketing and design for two of their largest annual fundraisers, Tastefully Unpredictable. 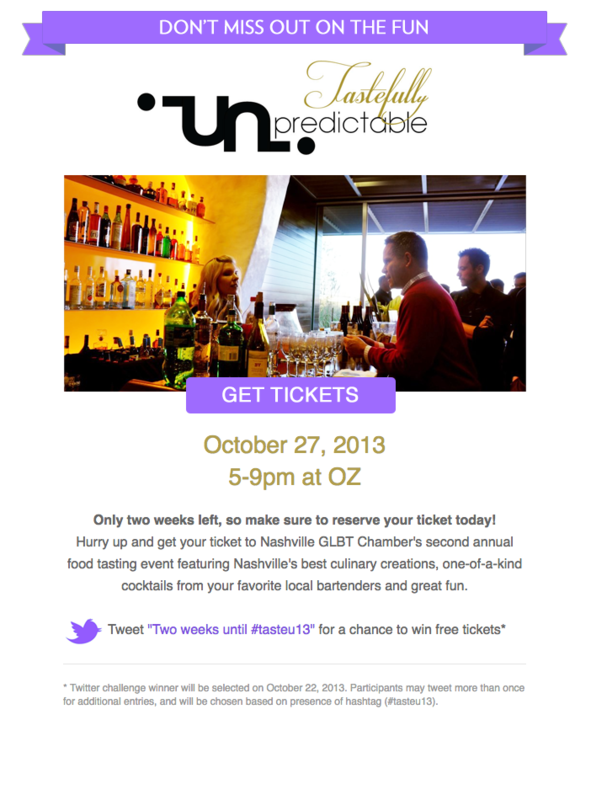 Below, see a few emails from the Tastefully event marketing campaign.